Belief is not dependent upon conformance to the Law. Belief is the process needed to make God’s command to Love a reality in our lives. Believe what? That there are angels? That Jesus died on the Cross for our sins? That all the miracles in the Bible actually happened? That the tribulation is coming? That abortion is a mortal sin? That marriage must be a lifetime commitment between one man and one woman? That only men shall be ordained into the ministry? That God somehow anoints the beliefs or agendas of one person or group over those of another? That our particular understanding of our faith excludes all other understandings, especially those we don’t understand? We all are constantly confronted with the choice of what to believe, and how. Do we believe literally all that the Bible says? And, what does “Literal” mean? Literalism presents us with many challenges and contradictions that are impossible to resolve; so, do we instead believe the scriptures through viewing them as metaphor and allegory? Do we ignore the passages that we see as outmoded, focusing on those that seem more relevant? Or, should we go even farther, perhaps picking and choosing what seems nice from the smorgasbord of other beliefs, traditions, and wisdom that we encounter everywhere in today’s world? I love what the Author of Hebrews has to say about all of this in this morning’s reading. “Long ago God spoke to our ancestors in many and various ways by the prophets.” So, it seems plain that there has never been a single voice deciding what is or is not to be believed as part of our faith. The Author of Hebrews is acknowledging that the prophets don’t all agree with each other, often speaking in ways that seem contradictory, or at least are hard to reconcile with other sacred writings, especially when taken literally. And this is in fact deliberate; since the goal of the prophets was to disrupt conventional wisdom and accepted practice, the very purpose of their words was to challenge our understanding. Every author of the 66 books in the Protestant Bible see and portray God’s word in different ways, and then there are the 73 books in the Catholic Bible, and the 81 books in the Ethiopian Bible. So, not only is there disagreement between various scriptures within our Protestant Bible, but disagreement between various branches of Christianity as to what scriptures are part of the Bible at all – not to mention the tens of thousands of variations found within the most ancient scriptural texts we have at our disposal. There is no single “right” Bible, and never has been. 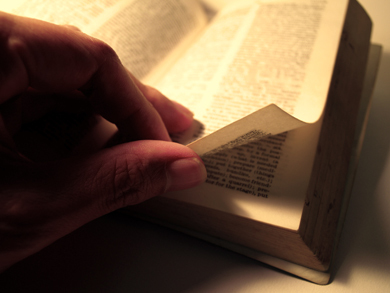 So, how can there be a single “right” reading of scripture? Therefore, there is no single universal scriptural standard by which we can judge what is “right” to believe, or not. 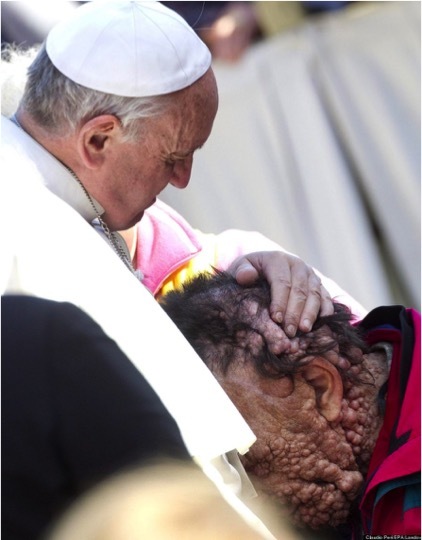 Author AllenPosted on October 6, 2015 August 26, 2016 Categories SermonsTags Absolute Truth, Creation, God's Love, Law, Literalism, Pope Francis, Science, The Great Commandment, Torah, Unconditional Love1 Comment on Believe! 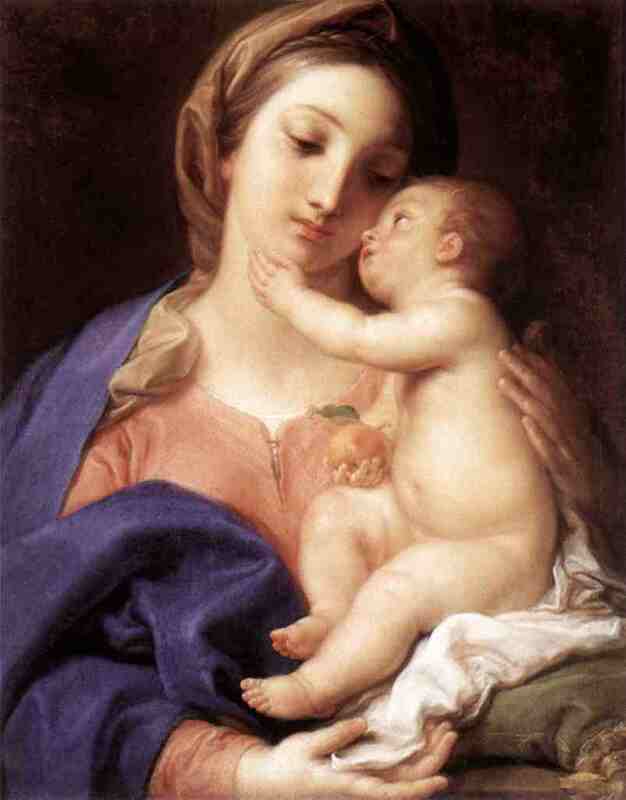 Madonna and Child by Pompeo Batoni, ca 1742. This Christmas Eve, I thought it would be useful to share a simple thought: that God trusts us. Orthodox Christianity is very explicit about this – God became incarnate and accessible to us through the birth of an infant human child. Newborns can do nothing for themselves: they are vulnerable and rely totally upon those who love them for protection, for sustenance, and for life itself. Jesus and the entire plan and hope represented by the Virgin Birth would never have come to fruition if his parents had not cared for him, fed him, educated him and loved him. If they had failed to do so, nothing else would have saved him, or us. So, God became vulnerable to us through the birth of Christ. God trusted us to take care of the babe and so ensure the fulfillment of God’s plan. In other words, God trusts humanity – for all its flaws and failings – to do the right thing, and to accomplish the mission. Even more importantly, God believes that you are ultimately good – because a creature that is inherently evil would never be entrusted with God’s child. Therefore, God knows you are lovable. God values you. God believes in you, and is willing to risk everything based on that belief. 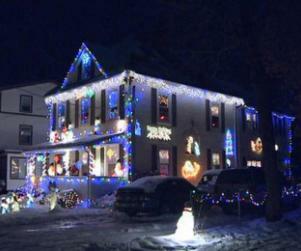 Recently I saw a news article on a local TV channel about a family here in a Boston suburb that has been celebrating Christmas for decades with an extravagant display of lights. This year, for the first time, an anonymous “neighbor” sent them a letter claiming to be insulted by the display. Now it is true that there are many who react negatively to such celebrations of Christmas. 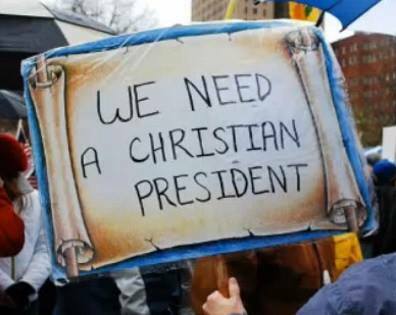 Comments I’ve heard and read include people saying they feel insulted, offended, disgusted, oppressed and/or marginalized because of this Holiday, and this letter writer certainly sees the display as a statement of exclusion – Christians celebrating their cultural dominance in an insensitive way. And, they’re not alone, many have written similar anonymous letters (some with threats) in the past. OK, Let’s accept that: many do feel this way, including our anonymous letter writer, just as the owners of that home, and many others, are feeling hurt and insulted by what the anonymous letter writer had to say. Such feelings are a reality and cannot be denied. But I wonder, was this letter a healthy way of expressing one’s feelings about the display of lights? (In this case, given what they said, I’d say not!) But, it does raise the issue: is such a display of Christmas lights as insensitive and insulting as this person claims it to be, and how should we react when such concerns are raised? Author AllenPosted on December 21, 2013 September 23, 2016 Categories Living FaithTags Anonymous Complaints, Christmas, God's Love, Loving Our Neighbor, Loving The Other, Matthew 22, Romans 1, The Great Commandment2 Comments on Who Owns Christmas? Even though the Universe is huge and complex, and we ourselves are such a small and insignificant part of it, the Bible is filled with lessons and examples of how God is committed to us and cares for us. God emphasized this to me one night through a simple question asked by my young daughter. It was the evening of Friday, May 4th, 1991. My life was at a crossroads. Worries that had been looming over my family on every side for months, getting ever darker and more worrisome, hit as full blown crises – all at the same time. At home, my marriage appeared to be on the rocks: divorce seemed to be unavoidable. Compounding this was a financial situation that was dire, due in large part to our buying a house that had far more problems than we’d been led to believe, or could have imagined. My career was also up in the air: I had been managing a very successful two year-long project, but the economic recession of 1991 (sparked by the first Gulf War) hit just as we completed the effort. This resulted in a hiring freeze at my company: I was given a temporary assignment, but was also told I would be laid off if things didn’t improve soon. I felt very alone. I felt like I had no one to turn to. I have not been in a more challenging situation either before or since that time. Author AllenPosted on August 24, 2009 September 23, 2016 Categories SermonsTags Childlike Faith, Divorce, Failure, God's Love, Grace, Hard Times, Job, mercy, Psalm 23Leave a comment on Do It Again, Daddy!